In short, the Horoscope Code will help you alleviate the shortage of helpful people when displayed at your own sign's direction. It gathers more support to your side by forging new solid new alliances against the enemies. This is therefore the most promising method to counter against troublemakers, petty characters and manipulative people. The formula is shown in the table above. 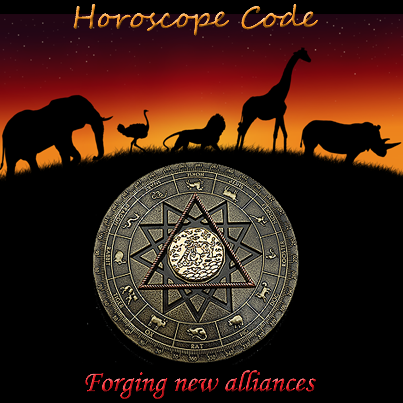 First, identify your personal zodiac or animal sign based on the lunar calendar. Each zodiac will have his own personal direction beneficial to them. The big tai chi and small tai chi should again be applied here. The big tai chi refers to the whole house or whole building, while the small tai chi refers to rooms such as bedrooms and living rooms. One may then activate their personal direction according to the chart by placing their own animal sign together with their secret friend and allies. This formula can also apply to your workdesk. For those who want to reap such benefit also when they are outdoor, they should carry along the zodiac secret friend and allies amulets.